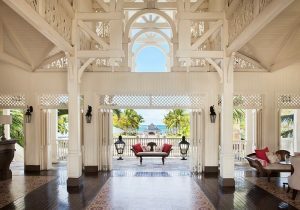 Bag yourself an amazing 30% reduction, exclusively through Silver Travel Club, at the Heritage Le Telfair Golf and Spa Resort Mauritius. Wake up to the sound of the Indian Ocean lapping against the shore, breathe in the scent of the gentle sea breeze and listen to the peaceful melody of tropical birds singing. Play unlimited golf on the best golf course in the Indian Ocean. Discover a sanctuary for your health and wellbeing with massage at the unique Seven Colours Millesime Spa or indulge in the hammam, sauna, vitality pool, hydro jets and massages. And have 30% off your experience, on us. Enjoy seven nights in a Deluxe Garden View Room with included daily breakfast, private transfers and flights with Air Mauritius. Prices based on two people sharing. Seven nights from £1,525 per person. Terms and Conditions apply. Valid 1st May 2017 to 31st Jan 2018. Some blackout dates apply. In partnership with The Luxury Travel Boutique.